Fraud: What's an Online Auction Site to Do? Online fraud is not unique to eBay, but because it is a dominant, global marketplace, it is an attractive target for scammers. eBay says it cannot police the site and points to some basic protection programs in place compensate users defrauded on its site (http://pages.ebay.com/help/confidence/isgw-fraud-ebays-role.html). Discussion is heating up in media and among users about what could be done to crack down on online auction fraud, particularly on eBay. In order to create a framework for a discussion about fraud prevention, it's helpful to see what measures other auction sites have in place. Some auction sites, including Bid4Assets and PropertyRoom, are inherently concerned with fraud prevention due to relationships with law enforcement agencies and manufacturers who sell on their sites and demand a safe, counterfeit-free marketplace. The U.S. Marshals Service has been selling assets forfeited in the course of law-enforcement activities on Bid4Assets since 1999, and federal, state and local government sales make up about 40 percent of Bid4Assets sales, including items from the Departments of Treasury and ATF (Alcohol, Tobacco and Firearms). Online auction site PropertyRoom has contracts with 600 law enforcement agencies who use PropertyRoom.com to auction seized, stolen, lost and forfeited goods online. Last fall, it opened up the site to third-party sellers. A third site, uBid, is better known for auctions of its own items and those of its partners than for any relationship with law enforcement or government agencies. But recently, it has geared up its efforts to include third-party sellers, called Certified Merchants. Thirty percent of Certified Merchants are manufacturers who expect uBid to protect their brands and prevent counterfeit items on the site. These sites utilize three types of fraud prevention techniques: Seller Requirements, Monitoring of Listings, and Payment Processing. Some sites impose additional requirements on sellers in certain categories or in order to sell certain branded items. For example, on Bid4Assets, new real-estate sellers are required to provide the deed to property they list, and new jewelry sellers must provide a copy of their business license and their previous history of selling jewelry. And uBid Certified Merchants are required to show they are authorized dealers before selling certain brands. uBid monitors its website by randomly purchasing products and verifying their authenticity, and following up on customer complaints. And Bid4Assets has a team of account managers who regularly review auction listings and bidding activity. If any suspicious activity is identified, they immediately inform the head of Client Relations. Typically on consumer-to-consumer auction sites, sellers handle their own payment processing. Amazon is an exception. All Amazon transactions, including those on its Marketplace and auction platforms, go through its payment processing system. By controlling the transaction payment process, Amazon is able to back those transactions with its A to Z guarantee, which protects purchases up to $2,500. uBid also collects payments from buyers and forward the money to sellers in the same way that Amazon does with its third-party sellers. And now PropertyRoom has decided to take this same approach. Beginning in April, it will accept payments on behalf of sellers. PropertyRoom Vice President of Business Development Lyle Deitch said it makes it easier for businesses to scale on the site, avoiding time-consuming administration, and said it greatly reduces the problem of non-paying bidders. And because PropertyRoom does not accept PayPal - eBay's online payment system that allows sellers to accept credit cards without having a merchant account - it helps smaller sellers. Overstock.com launched its auction site in 2004. It too is especially concerned with fraud since bad consumer experiences could hurt the Overstock.com brand. So from the beginning, it sought ways to prevent auction fraud on its site, including geographic limitations and consumer education. Overstock.com Auctions is limited to U.S. members only. And in order to let consumers know how to protect themselves, Overstock.com includes the words, "How to spot a scam" in every listing item page in red letters. Clicking on the link brings users to a page with 13 red flags to look for along with a link to an escrow service. Overstock.com Auctions also introduced a "Trusted Merchant" program last year, and search results can be filtered to include only participants in the program. The Trusted Merchant program is provided by BuySafe, a service that bonds online seller transactions, guaranteeing their transactions up to $25,000. When Overstock.com launched its auction platform, it introduced a "social networking" feature. Users can invite friends to join their "Personal Network," and friends can rate each other as often as they wish. They can give friends a star rating of 0-5 stars, and can add comments as well. Whabam, an auction site launched in late 2005, added a social networking component as well. Whether social networking features lead to good behavior based on peer pressure is unproven, however. A company called Opinity launched a service last year to make feedback from multiple marketplaces "portable," and that may prove to have some value once it gains traction. 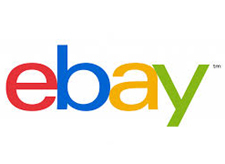 If eBay tightened up the requirements for selling on the site, it could mean a radical change in eBay's offerings, depending on exactly which measures they implemented. The fact that anyone can sell almost anything increases the risk of fraud, but it also makes eBay a diverse, fun, global marketplace. The acceptable balance between allowing anyone to sell online and protecting consumers is difficult to define, but what's clear is that, right now, it's up to the online marketplaces to set their own boundaries. However, politicians have already started to hang their hat on online fraud as a campaign issue. A Republican senator running for Attorney General in Florida has cited a recent eBay fraud case as an example of the Internet crime problem that he says he will address if elected (http://auctionbytes.com/cab/abn/y06/m02/i24/s01). And legislators and regulators have been nosing into the activity of eBay consignment sellers and drop-off stores in recent years. If there are multiple and possibly conflicting local, state and federal regulations imposed on online auction sales activity, it could be burdensome for auction sites - and for online sellers.